Welcome to the Steve Jobs based Join Up Dots Free Podcast Interview with Mr Geoff Thompson. 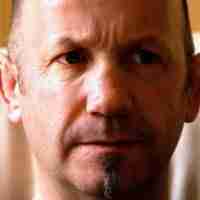 Geoff Thompson is todays guest, joining us on the Join Up Dots free podcast interview. He is a fantastic fella who I have wanted to have on the show right from the very first days of Join Up Dots.. But like all new things that you start, I felt I needed a platform and an exposure that was worth his time. He has a fantastic story that so many of you will resonate with. And from that point, Geoff Thompson’s life spiralled into a world of violence and anger. So does Geoff think that he would have become so successful in this arena, if he didn’t have something to fight against? How he believes in his heart that no matter how successful he becomes he is still in an apprenticeship and will never stop learning.